The estate takes its name from the tower which stands in the main courtyard of the château; it is the remnant of a fort built in the 12th century by the ancestors of Montesquieu. The structure occupied a strategic position and controlled the route between Bordeaux and Toulouse. The stones of the fort were used to build the existing château at the end of the 18th century. Alfred Kressmann, eldest son of Edouard, acquired the property in 1930. He changed the name: to avoid confusion with its illustrious namesake in the Medoc : Château Latour became Château LaTour-Martillac. Alfred Kressmann added Cabernet Sauvignon to the merlot already in place. Interrupted by the war, the reconstruction was continued after by Jean Kressmann, who succeeded his father in 1954. Jean finally achieved the family dream to acquire the gravel slope, which separates the property from the village. Thus the vineyard was gradually extended to nearly 30 hectares. Jean Kressmann was a passionate winemaker and produced some excellent red wine vintages; 1959, 1961, 1966, 1970, 1975, 1982 and his favourite, the 1983. A Unique Label: At the beginning of the 1930's, Alfred Kressmann and his son Jean – both with remarkable artistic talents designed a label for their new vintage. It was inspired by the Art Deco movement which was very in vogue at that time and created the famous design « gold and sandy stripes » which proudly adorns the bottles to this day. Classified Growth of the Graves: Long-time called for by the Winemakers Syndicate of the Graves, the classification of Grave wines finally took place in 1953 under the authority of the National Institute of Designation of Origin. The classification recognised 16 châteaux, all in the north of the Graves region. 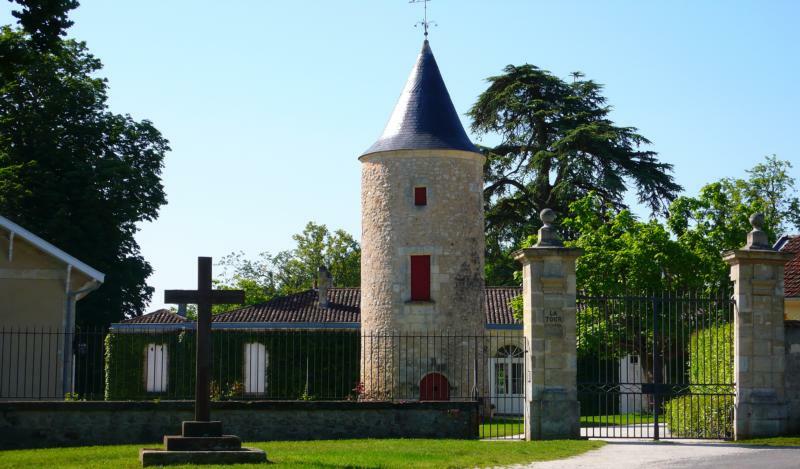 Château LaTour-Martillac is one of only six properties classified for both red and white wines. James Suckling 93“The cassis, dried-cranberry and herbal nose has some real complexity. Very expressive on the palate with great balance of crisp acidity, tannins and lively fruit. A joyful wine!” ~J.S. Neal Martin 95 "Tasted blind at the Southwold Bordeaux 2010 tasting. This is a great La Tour Martillac that must be one the finest releases from the estate in recent years. It has quite an elegant understated bouquet with autumn leaves infusing the black fruit profile, later tobacco and cigar box.